The British Museum is a famous museum in Great Russell Street, London. 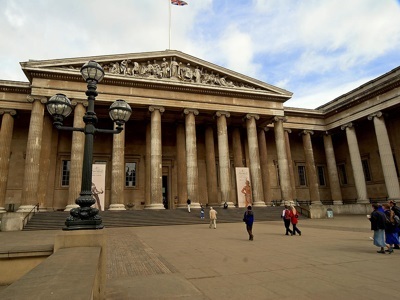 The British Museum was established in 1753 and has grown to be one of the largest museums in the world, with nearly one hundred galleries open to the public. The museum is housed in an impressive building with a Greek Revival facade, and showcases approximately 50,000 objects from its collection, and has a total collection of more than 7 million objects relating to human history and culture.